Oakdene Care Home - Residential and Nursing Care - Sleaford, Lincolnshire. We were delighted to pick up an award recently for which we were anonymously nominated. 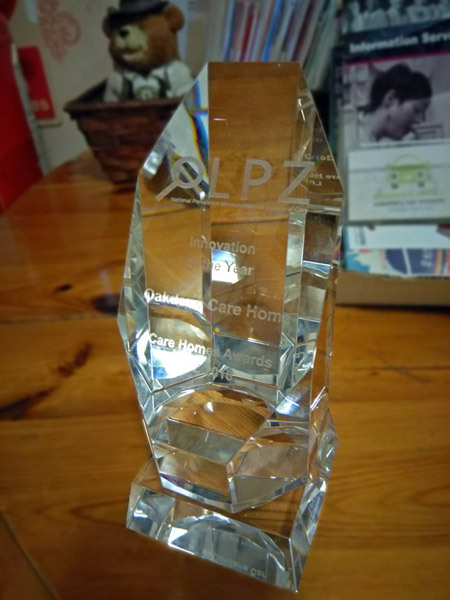 Oakdene Care Home won the category of 'LPZ Innovation of the Year' at the LPZ Care Home Awards which recognise the achievements of improving safety in care homes through the LPZ project. Our award related to our achievements with fluid and nutrition. Copyright © 2019 Oakdene Care Home.